PGIMER Chandigarh will release the PGIMER Counselling 2019 notification for admission to the academic session 2019. The candidates who qualify in the entrance exam, are eligible to participate in the counselling of PGIMER 2019. The candidates who will be selected for counselling have to report at the counselling venue as per the schedule along with the relevant documents. Category wise and rank wise list of eligible candidates shortlisted for counselling will be available on PGIMER website, pgimer.edu.in. Candidates can check more details about PGIMER Counselling 2019 including counselling schedule, counselling process, etc in the article below. 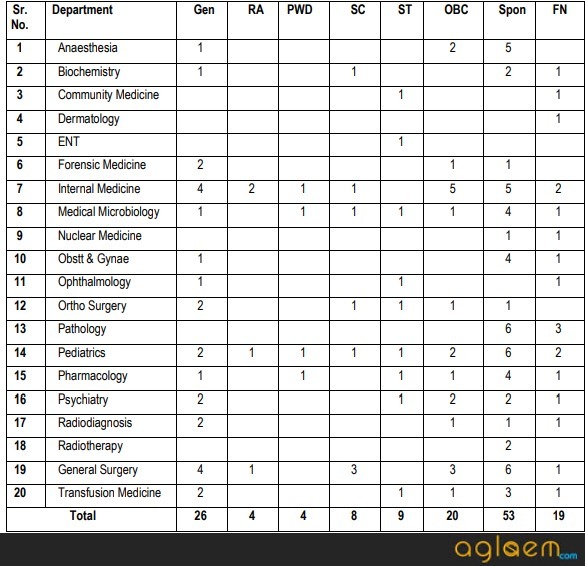 After the Interview is held, the result of selection is announced online at PGIMER website. The candidates who are provisionally eligible to appear for counseling can check the schedule in the table below. 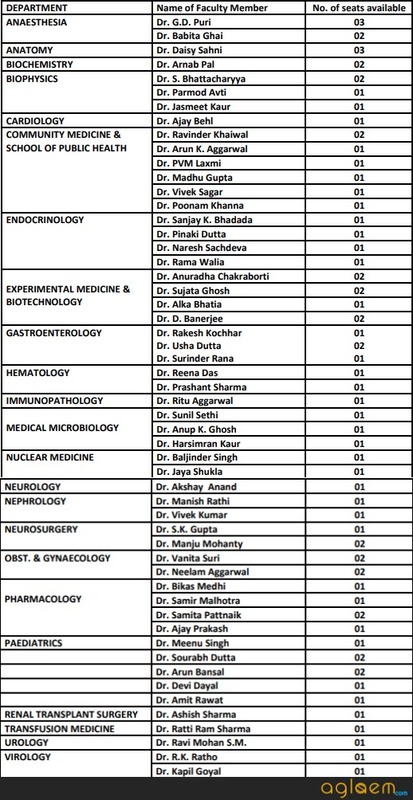 The candidates whose name will be in the list need to appear for the counseling as per the schedule given above. At the time of PGIMER Counselling 2019, the candidate must bring the relevant document, without which they will not be allowed to participate in the counseling. Also, the applicant need to submit the first installment, security, etc at the time of Counselling. The candidate who does not get a course of his/her in the 1st counseling, will appear in the subsequent rounds of PGIMER Counselling. 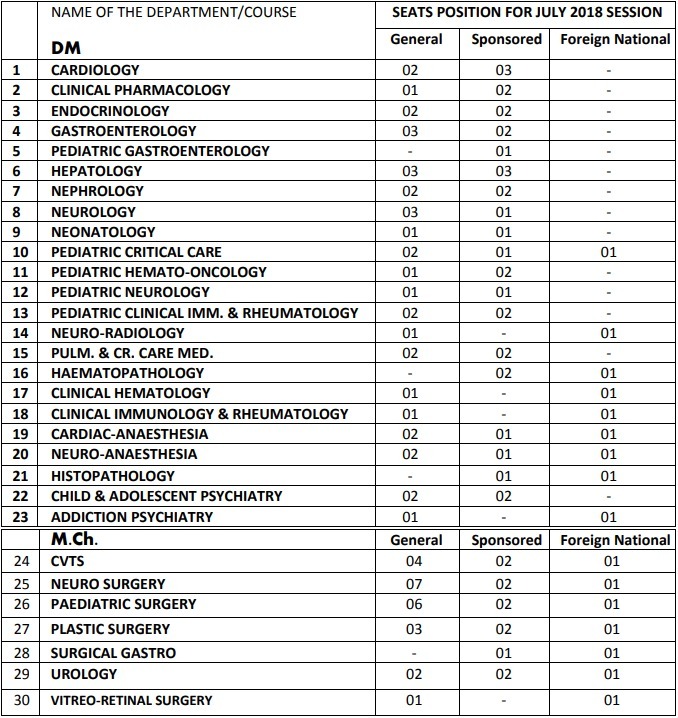 However, in case the candidate changes the specialty at the time of 2nd/ 3rd/ 4th round of counselling. Copy of Application Form (to be downloaded from PGI website with the held of Login ID and Password). Also, the candidate need to affix their photograph on the application form. Disability Certificate in case of PWD candidates. Last year’s seat intake of the university is mentioned below. If there will be addition or deduction of seats it will be updated here. 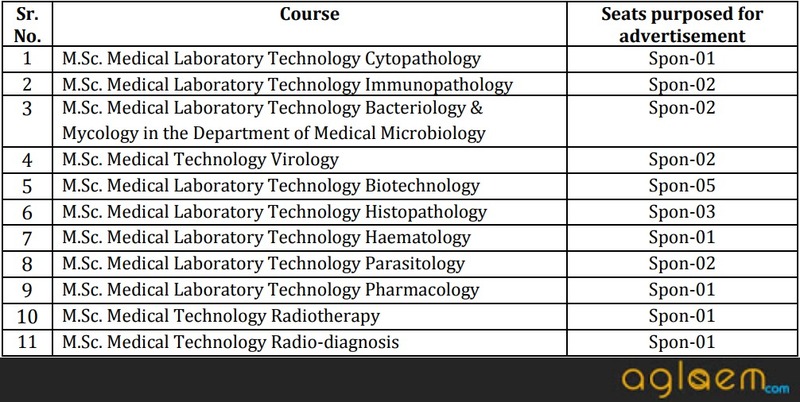 The Latest seat intake for MD / MSM.Sc, M.Sc MLT and PH.D. courses in 2019 is as below. The number of seat intake for some courses in 2018 are as below. Click Here to check the addendum regarding the increase of general seats in the Department of Hepatology.